As we aproach the end of 2014, we thank you for your support in helping us with our Year End Campaign. Our anual budget is $450,000 and every dollar comes from this community and stays here. Nothing comes from Chabad HQ nor is any monies sent there. Your continued support allows us to: Build a community in todays fragmented world, give education to those seeking it at all age levels and give a positive Jewish experience to all those we encounter. We still stand $75,000 short of ending the year 'in the black'. In these trying ecenomic times it is beautiful that we all have done so much together and it is that much more important that we are able to reach our goal of no shortfall. YOU can make a difference in making our goal a reality and allow us to continue the important work that we do. 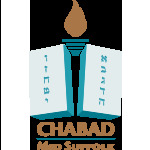 Your donation will help us bring the warmth of Judaism to so many throughout the Commack area. Help us in every way you can. Help us to the best of your ability. To put a leaf on our Tree of Life, click here. To place a plaque on our Memorial Wall, click here. To donate a car or other vehicle, click here. If you would like to donate stocks, real estate or other valuables, please email Rabbi Teldon here.